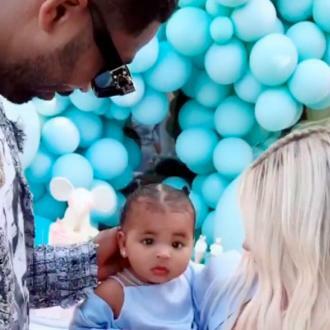 Khloe Kardashian's platinum blonde hair didn't look ''fabulous'' unless she had a ''spray tan'' and the reality star has subsequently dyed her hair darker. Khloe Kardashian's platinum blonde hair only looked ''fabulous'' when she had a ''spray tan''. The 34-year-old reality star has dyed her tresses ''a little bit darker'', thanks to celebrity stylist Tracey Cunningham, and the 'Revenge Body' host has admitted she made the decision because her old look involved a lot of ''upkeep''. She said on her Instagram Story: ''I just got my hair coloured by Tracey Cunningham. I'm going a little bit darker, just adding more dimension in it. ''[The platinum] was great. It was such a moment. I loved it. But it's a lot of upkeep to do that. And Tracey praised the 'Keeping Up With the Kardashians' star's ''realism'' when it comes to her locks, and admitted that Khloe's colour transformation will be a slow process to make sure her hair stays in the best condition possible. ''I was going to low light all the way up to the top but after she showed me the photo it was one where we started going a little lighter. It was more solid on top so I left it blonder because I didn't want to freak her out. Khloe is so realistic and patient, now you can see her natural color woven in on top.